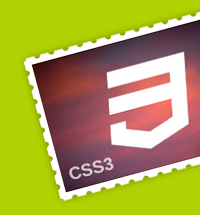 A CSS3 stamp. It does not require any border images. A pattern created using CSS3 radial gradients behind the image creates the effect.